Having a lot of thumbnails on the Windows Explorer window tends to slow down a computer sometimes even freezing the computer. 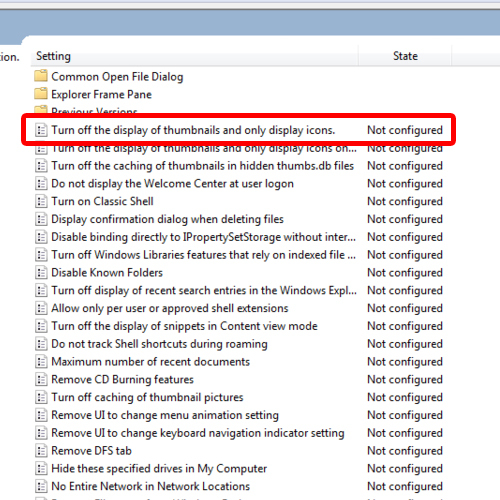 Disabling thumbnail previews can boost Windows performance considerably. 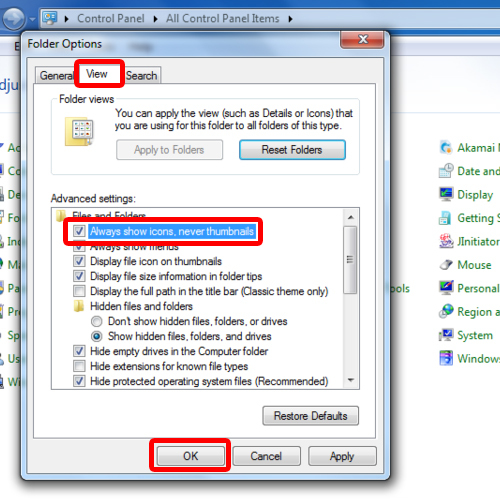 Here are three options that would help you in disabling thumbnail previews. Upon clicking the “Folder Options” a window would appear, after which you have to click the “views” tab. Underneath the “ Advanced settings” options list tick the checkbox titled “Always show icons, never thumbnails” . Upon checking it click Ok button placed at the bottom left of the window box. 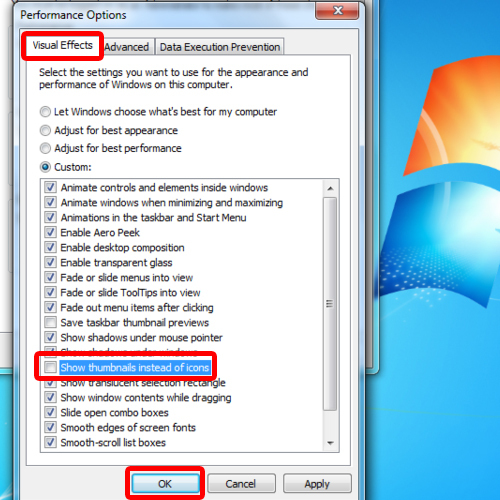 The second method to disable thumbnail preview is through accessing performance options. 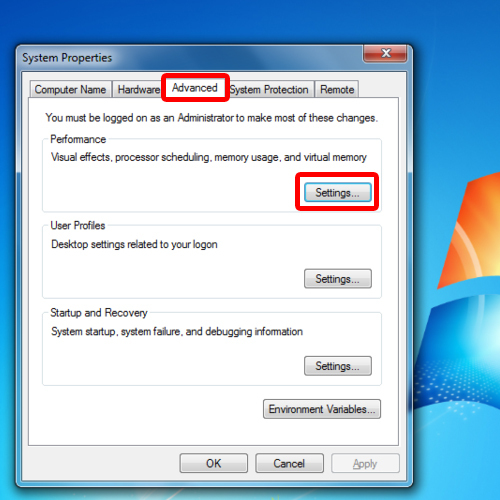 For that you would have to access the system properties menu. 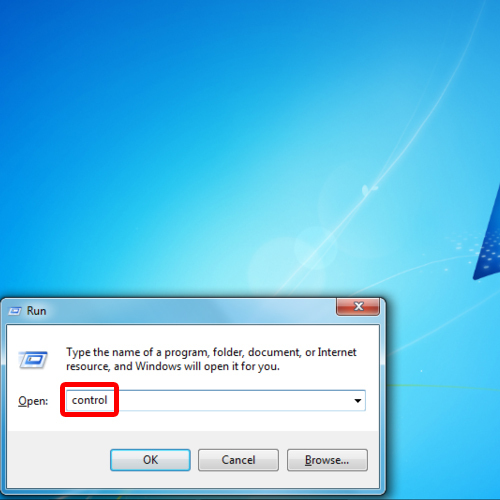 To do that, press the windows + R to access the run command box. After the box appears type in ““sysdm.cpl” to open up the System Properties window. After the “Systems Properties” window opens up click on the third tab from the left labeled” Advanced”. Upon clicking on the “Advanced tab three options would be listed on the window. Click on “Settings” tab labeled under the Performance option placed at the top. 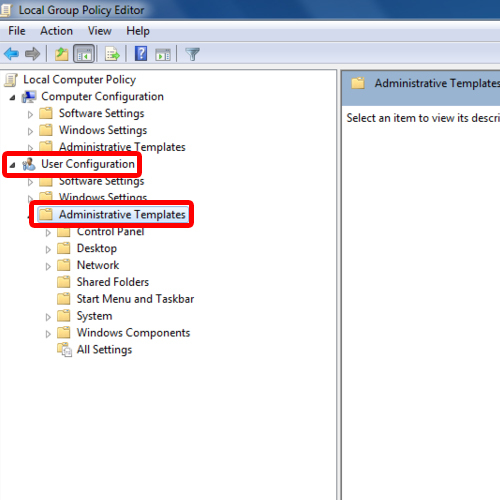 You can also disable thumbnail preview using the local group policy editor. 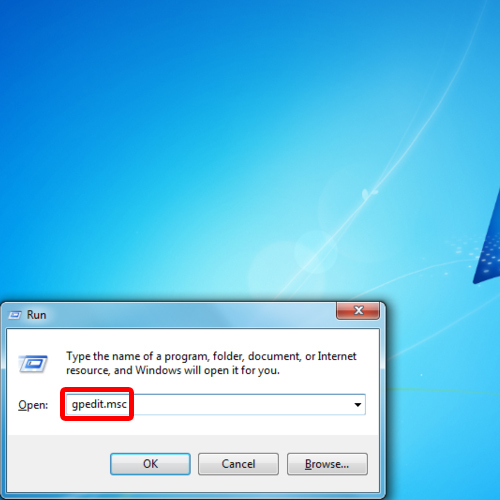 For that, open up the Run command and type in “gpedit.msc” to open up the Local Group Policy Editor. In the pane towards the left side of the window, double click on “Administrative Template” under User Configuration. After which the “ Local Group Policy Editor” window would appear . Multiple options would be stacked in a vertical list on your left window pane. Upon clicking “User Configuration “ another set of options would appear. Click on “ Administrative templates” on the options list. 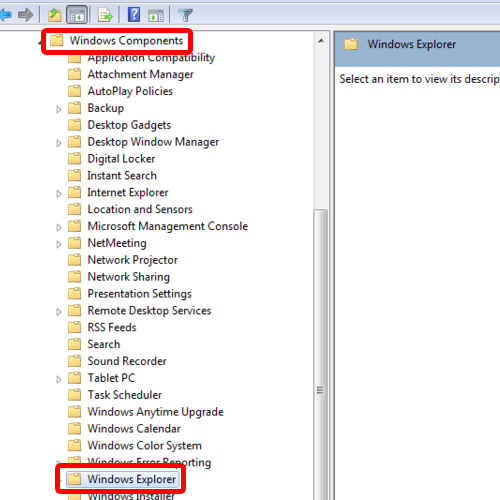 After which another a list of options would appear, on the list click on the folder option labeled “ Windows Components “ . After that click on Windows Explorer” on your left window pane. 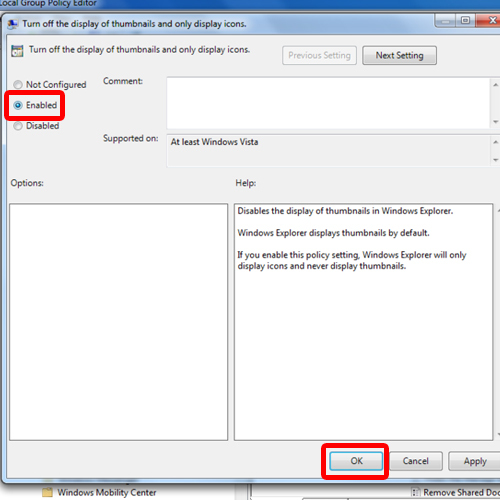 In the pane towards the right side of the window, double click on “Turn off the display of thumbnails and only display icons”. 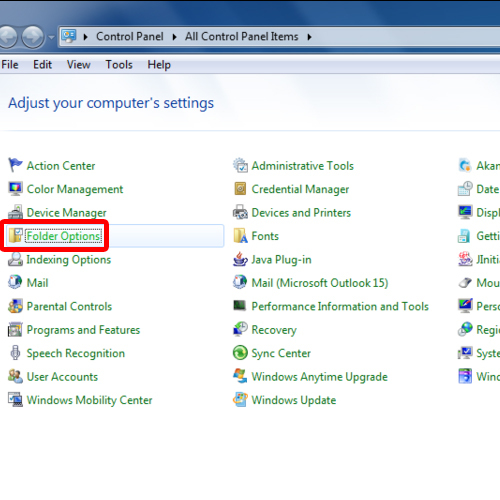 Once the new window opens up, enable the option and click on “Ok”. With that done, windows explorer will disable preview and will only show the icons instead of the thumbnails.